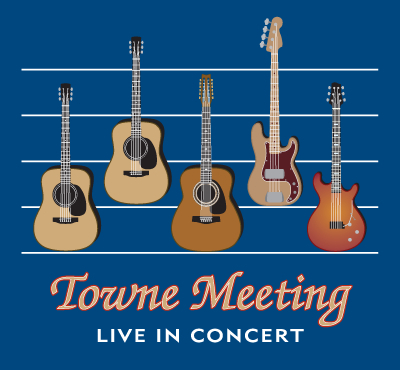 Towne Meeting has recorded the six CDs listed below. Order yours by clicking on PayPal or order by mail. It has been said that every song tells a story. 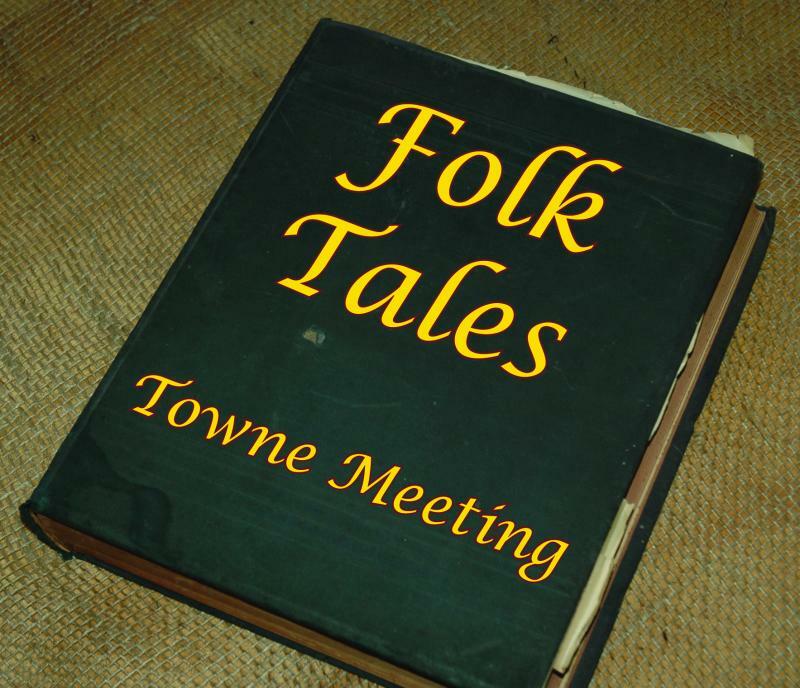 Towne Meeting presents a compilation of these Folk Tales with some selections very old, some true classic sing-a-longs and some relatively new and perhaps unfamiliar to many. So sit down, relax and we'll sing you some stories of all types of folks. Folk Tales includes: Uptempo Folk Song, The Cruel War, Povery Hill, Greensleeves, King of the Road, Don't Laugh at Me, The Sound of Silence, Prayer of the Children, A Worried Man, San Miguel, What Have They Done to the Rain, Merry Little Minuet, Swept Away, There Were Roses, The Boxer, and Take Me Home Country Roads. It's not the destination, it's the Journey. Old and new songs done in the Towne Meeting style. You'll find yourself tapping your foot and singing along. Journey includes: Twenty-Six Miles, Over the Rainbow, Fire on the Mountain, Forever and a Day, Singing with Friends, In the Early Morning Rain, Speak to the Sky, Jasmine, Three Song, Don't Think Twice, Heaven, Sixteen Tons, Wanderlove, Wagon Wheel, and Not on the Test. This album is composed of songs recorded live at concerts in 2012 & the beginning of 2013. 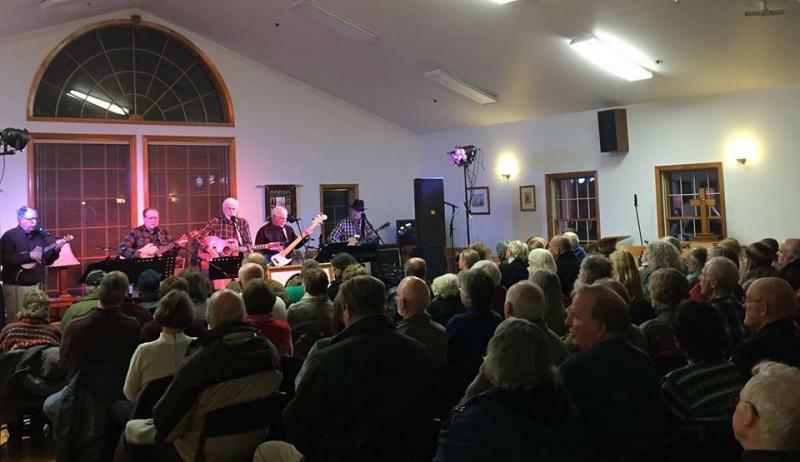 The venues vary from large auditoriums to more intimate coffee house settings. 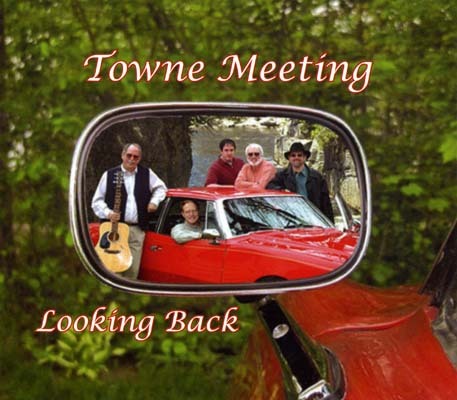 We hope this album gies you some of the flavor of Towne Meeting on stage. This CD includes the following songs: They Call the Wind Maria, Green Green, Seven Bridges Road, Cotton Fields, Shenandoah, Don't Let the Rain Come Down, Tequila Sunrise, Arlington, Long Way Back Home, Rocky Top, On Board the Saratoga, Whose Garden Was This, Teach Your Children, All I Have To Do Is Dream, To Morrow, This Land Is Your Land, and You Are My Sunshine. Looking Back captures the flavor of many of the songs on this CD. Be it a cultural or personal reflection, there is a degree of nostalgia related to each tune. This CD includes: Remember When, Today, Ghost Riders in the Sky, Carolina, Annie's Song, Blow Now Winds, Turn Around, Father and Son, City of New Orleans, Who'll Stop the Rain, Un Canadien Errant, Let it Be Me, Get Away John, Peaceful Easy Feeling, Stars Tangled, Parting Glass. A blend of rich vocals and instrumentation, this CD reflects the spirit of the group. Some of our music celebrates the beauty of the North Country, but some of it speaks to the difficulties we may face in our lives at different times. 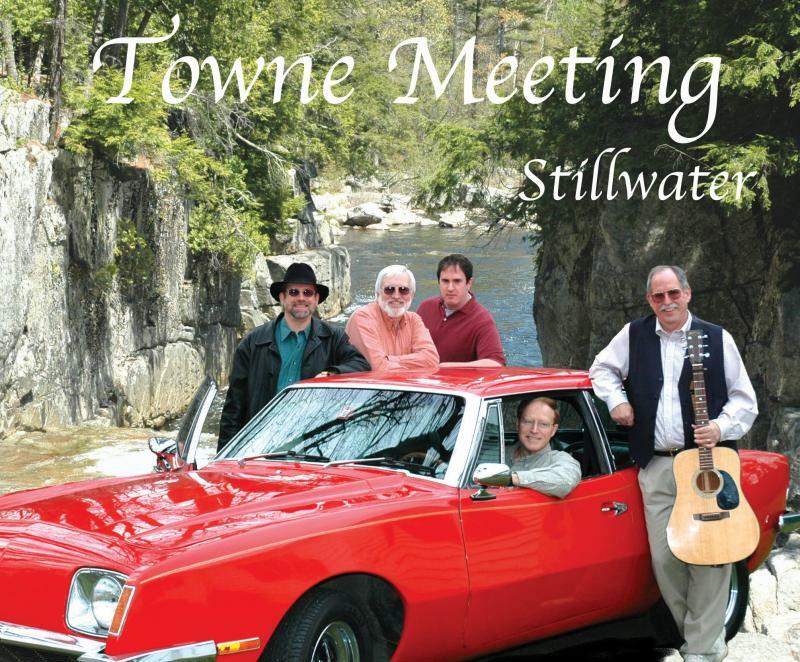 Stillwater includes: Dreamers on the Rise, Stillwater, House of the Rising Sun, Four Strong Winds, One Tin Soldier, Pullin' Away, Summer is Coming, Santy Anno, In the Morning, The Renegade, Amie, Rainbow, Rise, One Voice, I'm Going Home. With a mix of traditional favorites and tender ballads, sprinkled with a bit of whimsy, this CD will be a pleasure to the ear. It is probably best summarized by a lyric from the title song, "Time engenders love, and then, a Christmas world is young again." 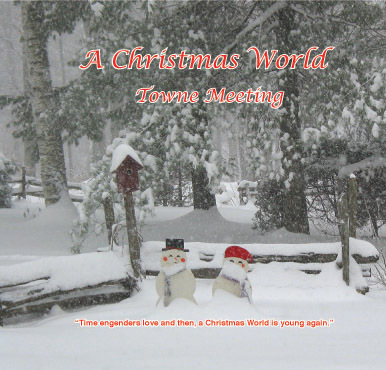 This CD includes: White Christmas, Winter Wonderland, White Snows of Winter, Jingle Bell Rock, Medley 1 - The First Noel-O Holy Night-What Child Is This, Santa Claus is Coming To Town, Rusty Chevrolet, Medley 2 - O Come, All Ye Faithful-Joy to the World-Silent Night, A Christmas World. 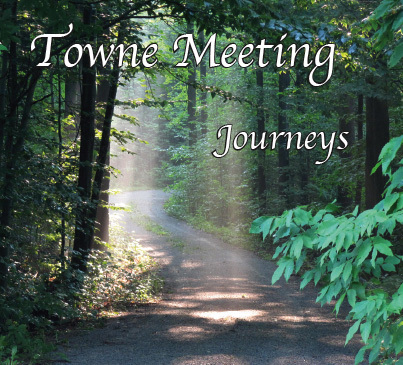 If you prefer to order by mail: send a check made out to Towne Meeting, in the amount listed above plus $3.00 shipping & handling to: Towne Meeting, 284 Cumberland Head Rd., Plattsburgh, NY 12901. Also include your return address, phone number and e-mail address.